In a major embarrassment to the UK establishment, the chief scientist from the UK's Porton Down military laboratory facility, Gary Aitkenhead, told Sky News that they had been unable to prove that the novichok nerve agent used to poison Sergei and Yulia Skripal came from Russia. 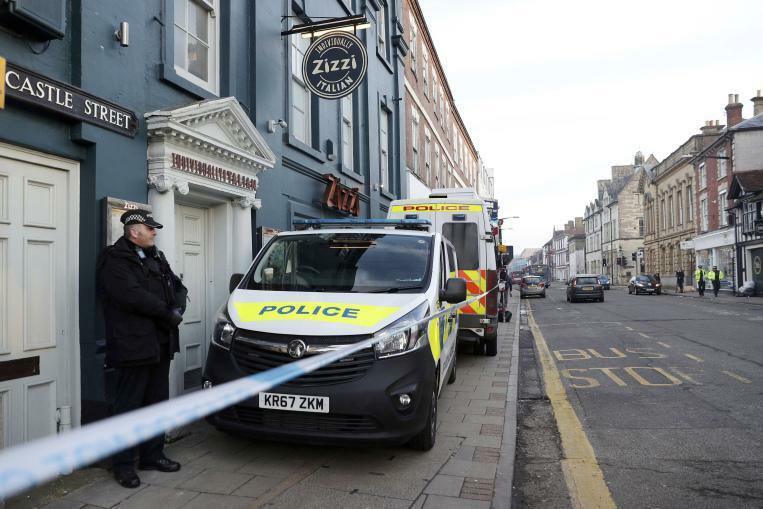 "We were able to identify it as novichok, to identify that it was military-grade nerve agent," Aitkenhead said. "We have not identified the precise source, but we have provided the scientific info to government who have then used a number of other sources to piece together the conclusions you have come to." The chief scientist said that establishing the Novichok's origin required "other inputs," some of which are intelligence based and which only the government has access to. Aitkenhead added: "It is our job to provide the scientific evidence of what this particular nerve agent is, we identified that it is from this particular family and that it is a military grade, but it is not our job to say where it was manufactured." Of course, this humiliation to the official narrative that Putin was clearly behind the assassination attempt all along also begs the question: whose job is it to say where the Novichok came from? That said, it was also noted that the nerve agent involved required "extremely sophisticated methods to create, something only in the capabilities of a state actor," and that there is no known antidote to Novichok - nor was any administered to either of the Skripals. Aitkenhead would not say whether the Porton Down facility had manufactured or maintained stocks of Novichok - long rumored to be the case. "There is no way anything like that could have come from us or left the four walls of our facility," said the chief. News of the UK's inability to trace the origin of the Novichok comes as a chemical weapons watchdog, the Organisation for the Prohibition of Chemical Weapons (OPCW) is set to hold an executive council meeting in The Hague on Russia's request. In a letter, Russia's ambassador to the OPCW, Alexander Shulgin, asked for the meeting to discuss Britain's allegations "in a confidential sitting". Skripal and his daughter Yulia were poisoned four weeks ago in Salisbury. Russia has insisted on access to the pair. Russia's Ambassador to the UK, Alexander Yakovenko, says that London's reluctance to share information on the March 4 poisoning of the former double agent and his daughter has led Moscow to suggest that London authorities actually perpetrated the crime. “Our British colleagues should recall that Russia and the United Kingdom are members of the OPCW which is one of the most successful and effective disarmament and non-proliferation mechanisms," said Russian politician Vasily Shulgin. "We call upon them to abandon the language of ultimatums and threats and return to the legal framework of the chemical convention, which makes it possible to resolve this kind of situation." “We have very serious suspicion that this provocation was done by British intelligence,” Yakovenko told Russia's NTV channel - adding however that Moscow had no direct proof, but that the UK's behavior constitutes strong circumstantial evidence in support of their theory. Following the Skripal poisoning, the UK and several of its allies responded by expelling Russian diplomats - with the Trump administration kicking 60 Russians out of the country, and the UK expelling 23. Russia returned "fire" with the expulsion of several foreign diplomats, and a demand that Britain scale back its diplomatic mission in Russia - affecting over 50 jobs. Yulia's condition is said to have improved significantly last week, and she is now conscious and talking. Meanwhile, Sergei Skripal reportedly remains unresponsive in critical condition.